Our best seller! To be found in your shop chiller cabinet. 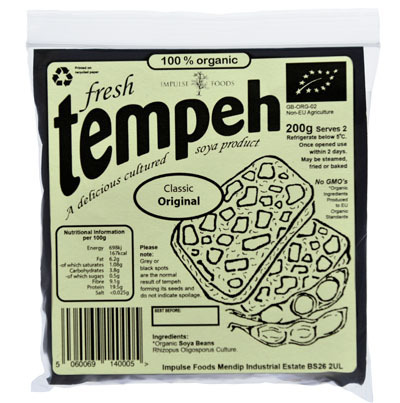 Those familiar with tempeh know how to create a delicious meal with this product. 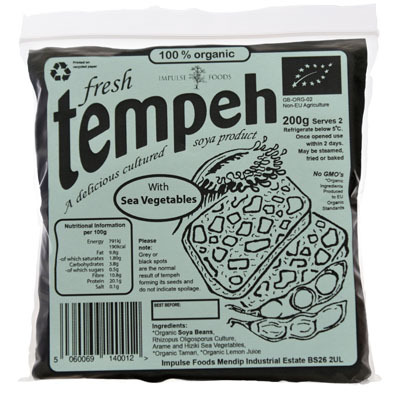 Contains Arame and Hiziki sea vegetables, organic Tamari and organic lemon juice. 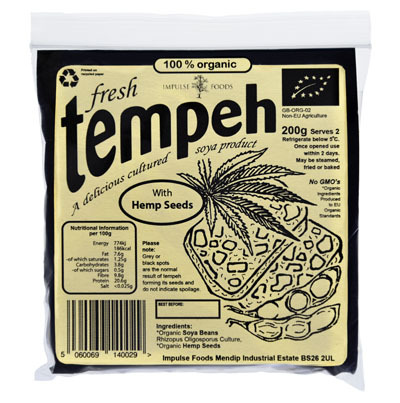 This delicious Tempeh contains Organically grown hulled hemp seeds. 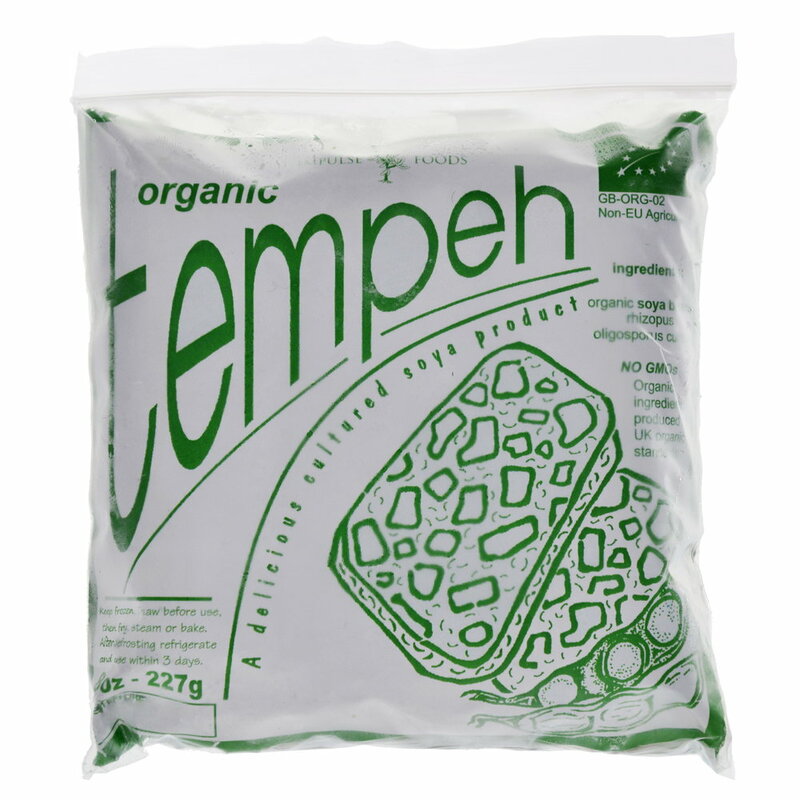 A rich source of Omega 3 and Omega 6 fatty acids which are essential for human health. Will keep unopened in the freezer for up to 6 months. 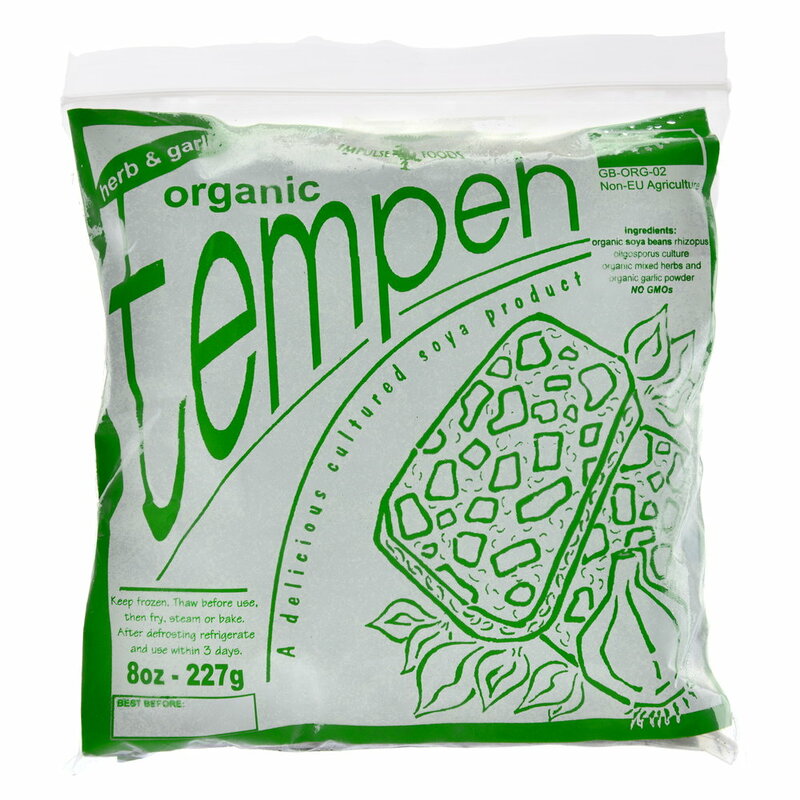 Our popular frozen tempeh with added organic herbs and garlic.